16 August 2018 Jennifer Thatcher Technology Manager of Test Dept. Do not have password reset disk? Find Renee Passnow! Methods here can help you remove the Windows 7 login password in 5 minutes. All data inside the account will not be damaged! Get it now! When you forgot Windows 7 password and can not access to the data inside the account, you may think of the password reset disk. But what if you did not create the reset disk beforehand? Is there any other method which can help you bypass Widows 7 password easily and will not lead to data lost? Renee Passnow does! 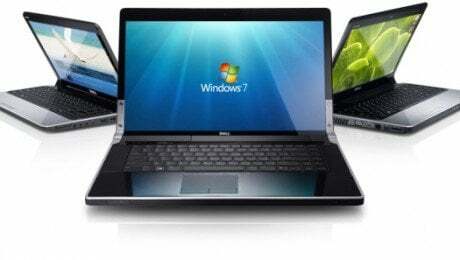 It can help you bypass Windows 7 password in 5 minutes with 4 simple steps. No matter you are a newbie or professional, it is your good partner when removing Windows login password. 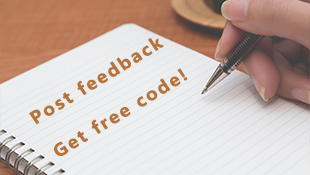 Download the free version to check whether you can bypass the password! Method 1: With other accounts. Remove the password with administrator or the other accounts with administrator privilege. If you don’t create a reset disk beforehand or don’t have other accounts with administrator privilege, reinstalling Windows 7 would be the last choice. The installation will need you spend a fortune and erase all your data in the account as well. Want a third effective choice which can preserve all data inside the account and save money? Yes! 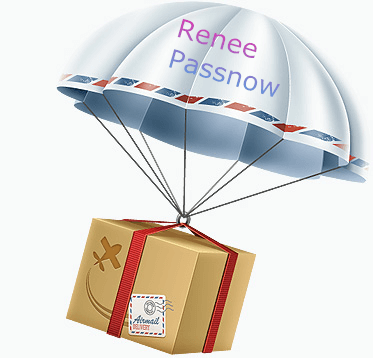 Renee Passnow is a worth choice for you. Free version is available now! Speedy Different from the other password reset software, Renee Passnow will directly reset your password to blank in minutes instead of guessing your login password for hours. 100% Safe Removing the login password will not damage the data inside the account as well as your system. Easy to use Even you are a newbie in computer using, you can still remove the password with Renee Passnow. Do not need to provide any possible combination of password or related knowledge. Please install Renee Passnow in a workable computer. Please note that Guess accounts will not have the authority of downloading or installing program. Step 1: Download and install Renee Passnow. 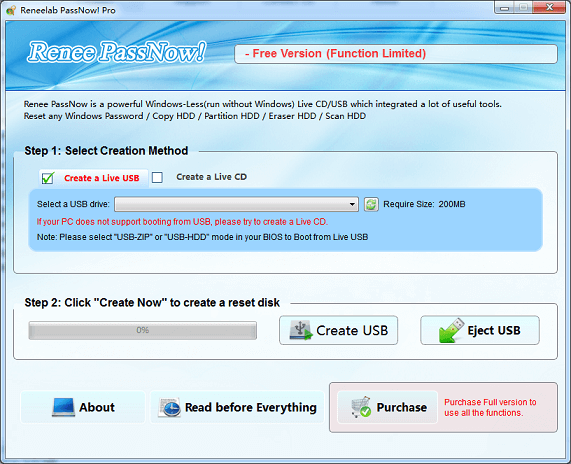 Create a Live USB/CD which is the password reset disk. 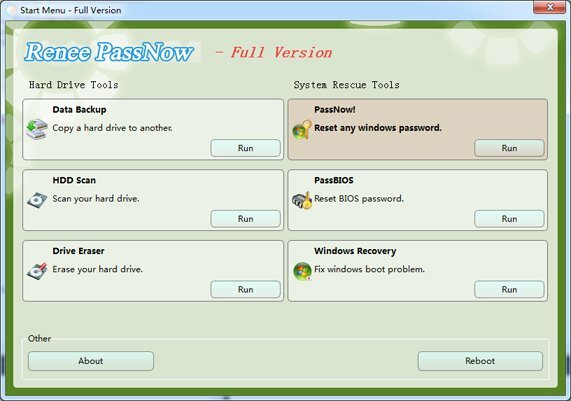 Now, Renee PassNow is compatible with Windows 10/8.1/8/7/Vista/XP/2000 and support reset password for both local account and Microsoft account. You can insert a USB stick to your PC and create a live USB. CD/DVD devices start up even better. Step 2: Start your target PC and change the boot order in BIOS. First Insert the live USB/CD in your PC, Secondly, Change the boot order of the target PC in BIOS. 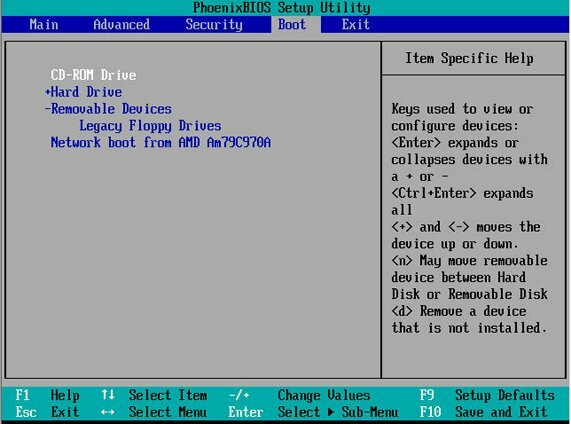 Please change the USB you just made to be bootable disk to be the first in BIOS. If the USB is not first in the boot order, your PC will start “normally” (i.e. boot from your hard drive) and will not check your disc drive. 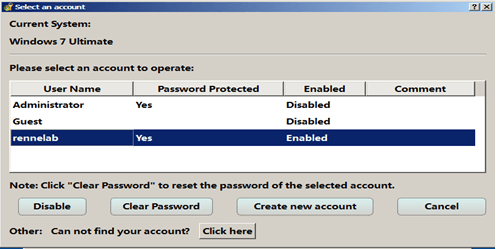 Step 3: Reset Windows 7 admin/login password. Step 4: Select a target account and click “Cleasr Password” to reset its login password. Restart your PC and enjoy the fun. If you are using Windows 8 system, the Administrator account may not be displayed. In this case, you must click the extend button to display it, then, you can login the system. Beside remove the password directly, you can also create a new administrator account to manage the account and the related password. Not matter you forgot your Windows login password or the password is changed by others, Renee Passnow can help you bypass Windows 7 password without password reset disk. 5 minutes for whole process! No need of any related professional knowledge. Download and solve your password problem now!